Learn to build and use 9 of WOOD Magazine's favorite jigs that make your time in the shop easier, safer, accurate, and productive! - An easy way to grip round stock securely, AND MUCH MORE! 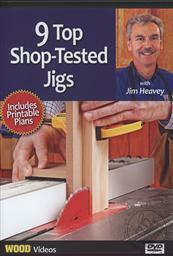 Jim shows how to build, and then demonstrates, nine must-have jigs for the tablesaw, router, router table, drill press, and planer. 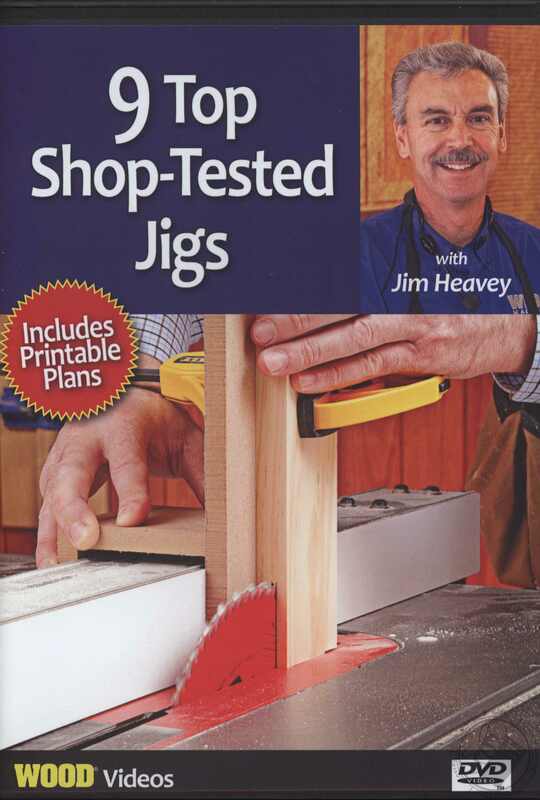 You'll even find detailed plans on the DVD that you can print from your computer and take into your shop, so you can easily build these useful jigs. 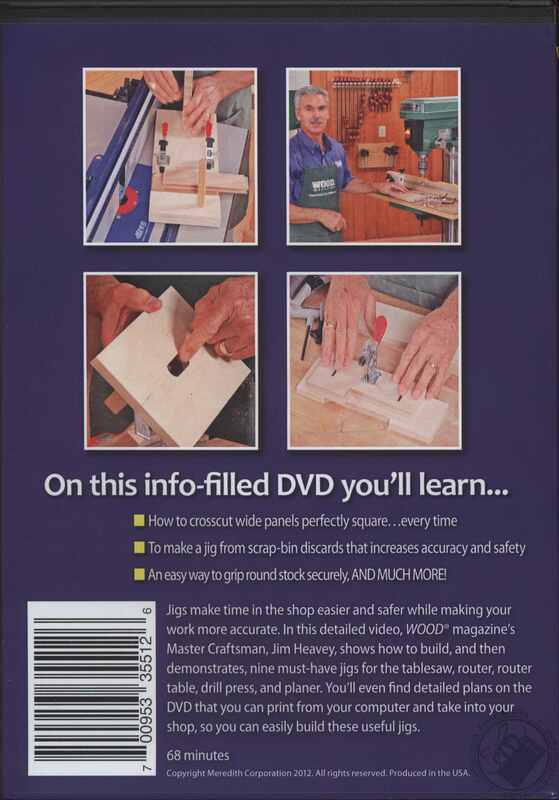 This how-to woodworking video runs 68 minutes.